Associate Professor, Department of Health Policy and Management, University of Georgia; and Li Dak Sum Chair Professor in Health Economics, University of Nottingham, Ningbo China. Dr. Zhuo (Adam) Chen is Associate Professor, Department of Health Policy and Management, College of Public Health, University of Georgia, Athens, Georgia, USA; and Li Dak Sum Chair Professor in Health Economics, School of Economics, University of Nottingham, Ningbo China. He earned his B.S. and M.Mgt. in Management Science from the University of Science and Technology of China, and his Ph.D. in Economics and M.S. in Statistics from the Iowa State University. Before Dr. Chen joined the University of Georgia, he was a senior health economist with the US Centers for Disease Control and Prevention (CDC). 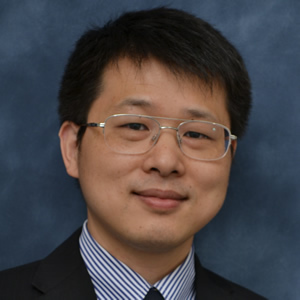 Dr. Chen’s research has focused on health inequality and social determinants of health in both China and United States, applied health econometrics, economic evaluation, and China’s agricultural efficiency and labor market. His works have been published in Health Economics, Journal of Health Economics, China Economic Review, Papers in Regional Science, Social Science & Medicine, Contemporary Economic Policy, and American Journal of Public Health. His current research interests include health economics, economics of obesity, applied econometrics, behavioral economics, mental health, genomics, and economic evaluation. His method to calculate the concentration index has been widely used and cited. He received the 2013 CDC Excellence in Behavioral and Social Science Research for his work on testing the income inequality hypothesis, an often-debated theory in social epidemiology. He has served as a member of the Board of Directors of the Chinese Economists Society (CES) twice (2007-2008, 2012-2013) and serves as the President of CES for the 2017-2018 term. He led the efforts to create the China Health Policy and Management Society (CHPAMS) and is currently serving its President. In that capacity, he has been promoting health policy and systems sciences with support from the China Medical Board since 2009. He served as the President of the Asian Pacific Islander Employees of CDC/ATSDR during 2014-2016 and was awarded the Civilian Award of Excellence in Diversity by the Federal Asian Pacific American Council in 2016.